Looking for a freestanding bathtub that doesn’t compromise on quality and style? The Almond bathtub from System Pool is a brilliant choice. It is characterized by smooth rounded features which give it a look of formal purity. Named after a nut that has a rough skin, curves, and oil good for skin health, this tub offers the ultimate bathing experience. It has a concealed overflow and a plug hole with stone trim. 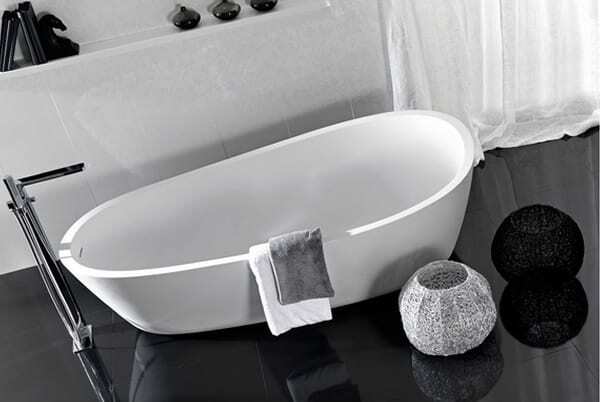 The tub comes with an optional outer Gel Coat shell finish in black or silver grey. When you want to create a divine and beautiful look, choose the white colored tub, when going for something striking and unusual; get the silver grey or black tub. The first step to ultimate relaxation is getting the right bathtub. The Almond bathtub from System Pool is perfect for any home. Add some aromatic oils, bathing salts, bubbles, and hot water and the tub will do the rest. You’ll soon be on top of the world far away from your cares and worries. 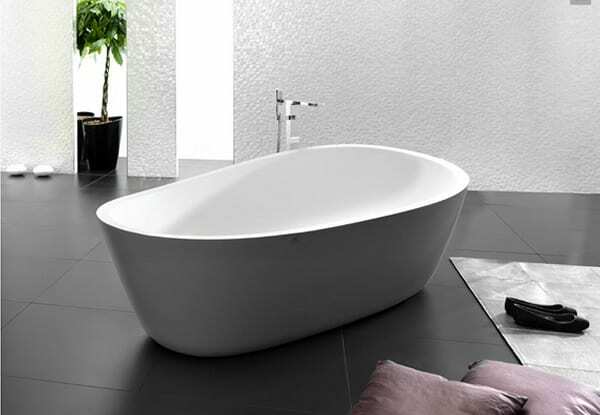 The tub is made using materials with superb mechanical and chemical resistance. 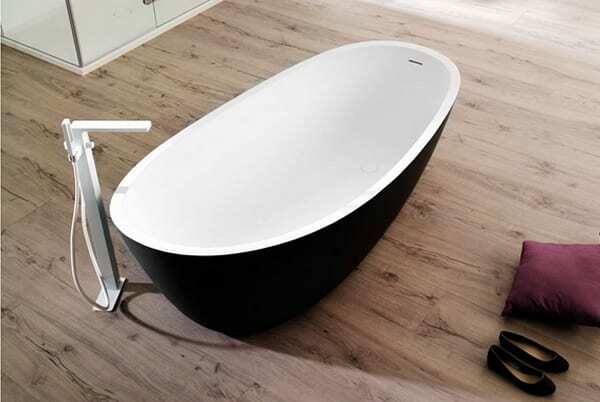 Apart from its reliability, this bathtub provides an aesthetic effect which pleases even the most demanding homeowner. Its unique character makes a perfect match for both classic and minimalist decors. It transforms your bathroom into a meditative sanctuary for artful relaxation. Modern-day bathrooms are meant to be sanctuaries, places where people can relax after long and busy days. This bathtub makes your bathroom all that and more. Can you see yourself relaxing in the Almond bathtub after a long hard day?